Quick: what’s a good spell against boredom? After getting off to a nimble start with “Fantastic Beasts and Where to Find Them” in 2016, J.K. Rowling’s five-part prequel to the “Harry Potter” series is already starting to feel like an almighty slog. While its predecessor was a fleet and frothy caper, “The Crimes of Grindelwald” is more like “The Matrix Revolutions” (2003): darker, denser, and a whole lot duller. 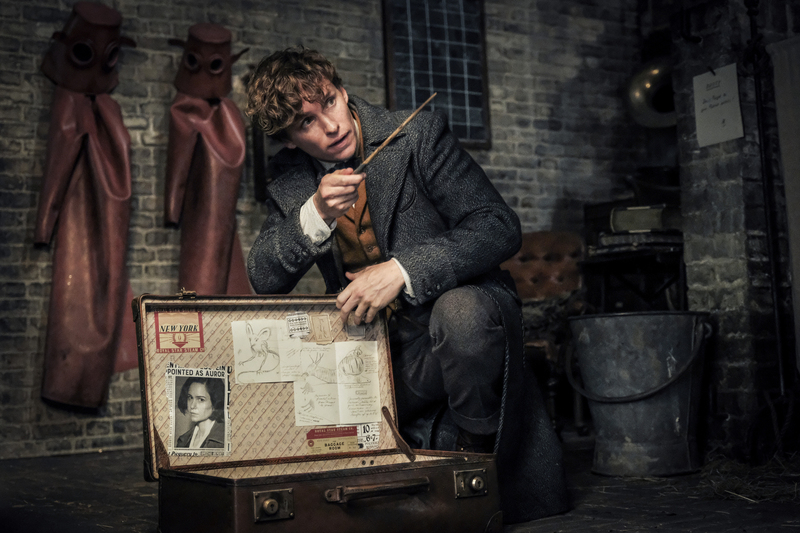 It’s 1927, and raffish “magizoologist” Newt Scamander (Eddie Redmayne) is back in London, and subject to a travel ban after his destructive visit to New York in the previous film. Meanwhile, the evil Grindelwald (Johnny Depp) has escaped captivity, in a pre-credits sequence that suggests the action set-pieces won’t be any more coherent this time around. Every saga needs a good villain, but Grindelwald comes up a little short. All Depp brings to the table is a bad David Bowie impersonation and the desiderata of a veteran Hollywood A-lister: The end credits list three personal assistants and five “support staff” for the actor, which must be some kind of record. Much like Magneto in the “X-Men” series, Grindelwald wants to disrupt the status quo, and let magicians come out of the shadows and take their rightful mantle as rulers of the world. He’s particularly keen on enlisting the help of Credence Barebone (Ezra Miller), a powerful wizard raised by an adoptive family in New York and presumed killed at the end of the previous film. The sullen youth has now popped up in Paris, where he’s try to find his real identity — as you would too, if you had a name like Credence Barebone. Most fans will be tuning in for the first appearance by the younger Albus Dumbledore, and Jude Law brings some old-fashioned charm to the role, despite not getting much to do. He can’t fight Grindelwald directly, you see, because they had a thing together — they were “closer than brothers,” apparently — though that’s the nearest Rowling’s script comes to letting poor Albus be openly gay. Meanwhile, Scamander is reunited with his old flame, Leta Lestrange (Zoe Kravitz), who’s now engaged to his straight-laced brother, Theseus (Callum Turner). There are other new characters too: Claudia Kim gets a thankless, Rinko Kikuchi-esque role as Nagini, a shape-shifting human destined to end up as Lord Voldemort’s pet snake, while William Nadylam plays a French-African wizard who’s pursuing Credence for less-than-amicable aims. 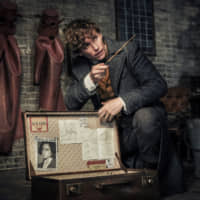 None of these characters are remotely interesting, and they leave less room for the endearing American trio who accompanied Scamander on his New York adventures: witch sisters Tina and Queenie Goldstein (Katherine Waterston and Alison Sudol) and bumbling “No Maj” Jacob Kowalski (Dan Fogler). “The Crimes of Grindelwald” doesn’t have much time for characters, so busy is it with laying the groundwork for future instalments. We get lengthy flashbacks and reams of exposition that make entire scenes feel like the characters are reading out a Wikipedia page. It says something of the indigestible nature of the script that the line “Have you read ‘The Predictions of Tycho Dodonus’?” is used not once, but twice. What happened to the lightness and sense of wonder that Rowling summoned in the first “Fantastic Beasts”? “The Crimes of Grindelwald” has all the breeziness of a Zack Snyder film. The wands and wizards are still there, but the magic is gone.